Thank you for filling out your information. A member of our staff will now review your details and find you the best value deals currently available in the stag/hen marketplace. In the mean time, If you need a bus for your weekend try Buscompare.ie below. It will give you 3 bus quotes for your weekend trip! Henit.ie is Ireland’s Leading hen event Management company. In 2012 we will have sent away over 12,000 people all over Ireland, UK and Europe. We currently have a staff of 9 people all dedicated to making sure your weekend is 100%. All our packages are financially secure, ie, your money is held in a trusted account. We make organising your weekend easier, and cheaper since we have discounted deals with all our suppliers. Deals you cannot get. All the ladies can login and pay online, so you don’t have to chase anyone for money. You can login and keep an eye on everyone with your own personal website, here you can see who has paid, not paid, accepted invitations and view your weekend details. So Whats That about Gary Neville? Gary Neville came to Ireland for a stag in July 2012 and your's truly was asked to recommend all the best spots for him and his entourage. We provided them with the perfect ingredients for a fantastic weekend. This is not an unusual thing for us here at Henit, we have being interviewed and mentioned in all the major Radios shows and newspapers. 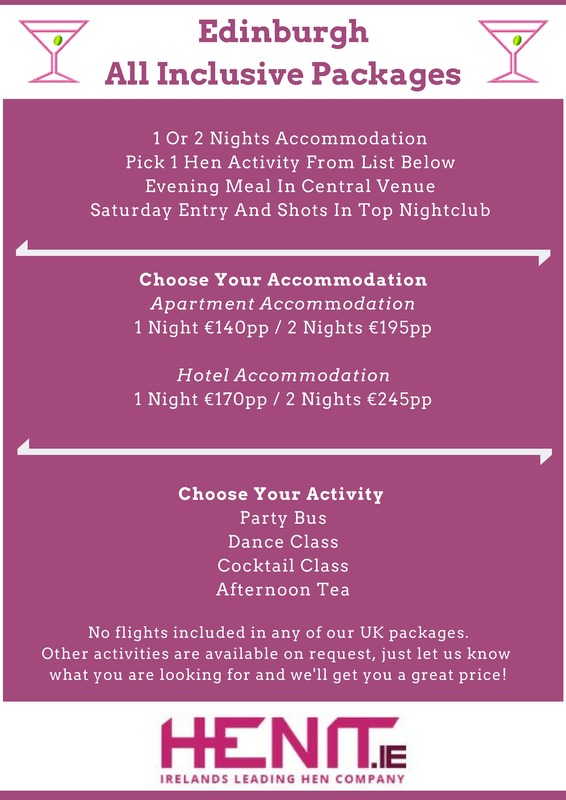 Hen Site: www.henit.ie Email: sales@stagit.ie Irelands Leader in Hen & Stag Parties.